Embark on an modern day treasure hunt to uncover the beauty and richness of Mayan civilization. Discover hidden ruins in dense jungles, study famous pyramids and take photos of thousand year old artifacts. Make local handicrafts, find clues in archeological sites, learn traditional Mayan dances and interview Mayan speaking elders. You’ll have to complete each task before moving onto the next as you criss-cross Chiapas and the Yucatan. By the end of your Mayan Quest, you’ll be exhausted, fulfilled and have a thousand stories to tell about an unforgettable adventure from the Pacific Ocean to the Gulf of Mexico. Your quest begins in Mexico City. Climb the stone steps of ancient pyramids, interpret Mexican history through the murals of Diego Rivera and Frida Kahlo, witness the poetic artistry of the ballet folklorico and practice your Spanish with locals in the trendy Condesa neighborhood and halls of the Lucha Libre. Begin your exploration of Mayan culture at the Museo Nacional de Antropologia. Then learn about the richness of Mayan civilization with cultural anthropologists and educators. Prepare traditional dishes, learn survival Mayan language skills and discover Mayan contributions to contemporary Mexican culture. Journey to Chiapas in southeastern Mexico to live with a local family. Attend colorful festivals, shop in open air markets, practice your Spanish while cooking with your host mother and get together with your Corps group to explore the community. Your amazing race – Mayan style – begins in Palenque and Campeche. Make your way north along the Puuc route to Merida and Tulum. 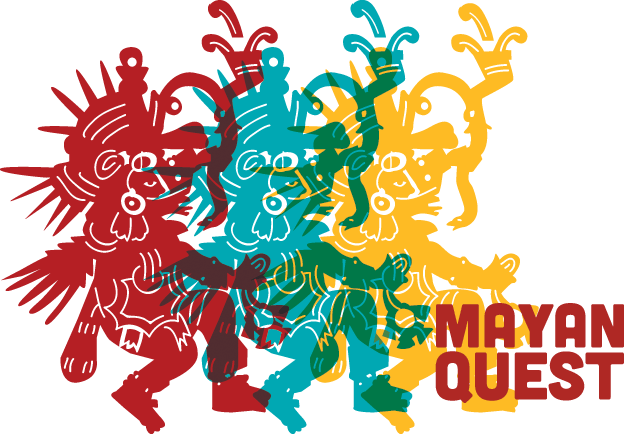 Every step of the way, you and your group will have to create traditional art, perform local dances and complete small volunteer projects to unearth clues that point to the next stop on your quest before your triumphant return to Mexico City. Interview luchadores before a wrestling match at the Lucha Libre. Hike the pyramids of Teotihuacan. Practice survival Spanish language skills in the bohemian neighborhood of Coyoacan. Visit the Museo Nacional de Antropologia and Frida Kahlo museum. Develop an understanding of the impact of Mayan civilization in contemporary Mexico. Learn from anthropologists and educators. Practice survival words and phrases in the Mayan language. Investigate the meaning of Mayan art and artifacts. Live with a Mexican host family. Develop your Spanish language skills during family meals and excursions. Explore the surrounding community with your Corps group. Hike the ancient ruins and pyramids of Sayil, Kabah and Uxmal. Spend a few days in Merida. Travel the Puuc route to Chichen Itza, Valladolid, Coba and Tulum. Return to Mexico City for a final meal and discussion about re-entry before the journey home.